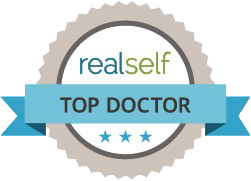 Cleveland, Ohio – Breast augmentation continues to be one of the top plastic surgery procedures performed each year. And each year, technology advances further and further, allowing women more options when choosing to plump their bustlines. One such technique leaves no scar and has been perfected by plastic surgeon Dr. Rodney Green. The procedure is performed endoscopically, and the implant is able to be placed underneath the muscle of the breast tissue via a remote incision in the armpit. Before the funnel was created, this was not possible with gel implants, and even using other approaches, surgeons would have to poke, prod and push the implant into its proper place, which added trauma to the patient’s breast tissue. The Keller Funnel, on the other hand, allows for very easy placement. The cone shaped device is made of nylon, with a hydrophilic coating inside that becomes slippery when submerged into saline. The Keller Funnel offers a no-touch delivery technique. The surgeon will place the tip of the device through a tiny incision. Then, the implant will be propelled through the funnel into its place. This is accomplished with minimal force and minimal trauma to the breast tissue. The implant never even comes into contact with the patient’s skin. That means there is no contamination to the implant by having it accidentally touch the skin. Because there is minimal force used, that also means there is minimal trauma to the implant itself. Traditional implant surgery uses a lot of pushing and pulling on the implant. The Keller Funnel method reduces the risk of complications that can be associated with improperly handled implants. The surgeon is also able to use a cohesive gel implant via the axilla, which is not possible any other way. Previously, implants used in breast augmentation procedures via armpit had to be saline filled. Cohesive gel implants, or gummy bear implants as they are commonly called, differ from these and other standard silicone filled implants because the implant maintains its shape. It is firmer – the gel does not move around as it does in other implants. Cohesive breast implants maintain their shape and form retention and are more durable. Additionally, these implants may be shaped much more anatomically correct than other implants, giving patients a more natural look. The implants project more at the bottom, thinning out at the top, allowing it to feather into the upper chest and be less conspicuous. These implants are better for longevity because they do not develop folds that lead to the implant eventually failing. Even if the shell of the implant were to fail, the cohesive gel is so thick it would not migrate anywhere in a significant quantity. A woman’s breast shape is enhanced because the surgeon has control over the fill of the implant. Saline or standard silicone gel can migrate within the implant, altering the breast shape slightly. Cohesive gel implants offer the most natural results. To learn more about the Keller Funnel method of breast augmentation, or to schedule a consultation, call Dr. Green’s office to set up an appointment.